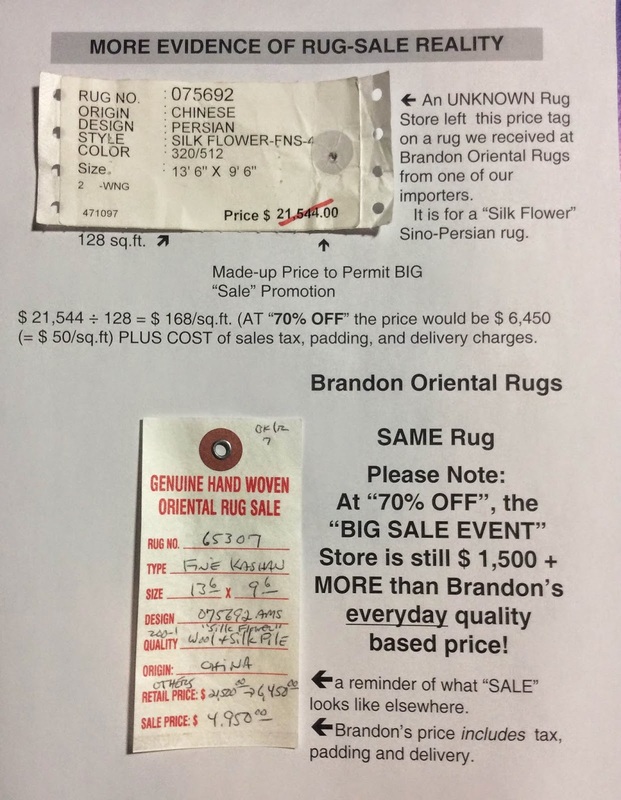 "Pottery Barn rugs to run from…"
The link above is to an article worth reading if you are considering a rug purchase, and want to avoid a costly mistake. It is by an expert rug cleaner and rug repairer (in southern California) and validates the position we have always taken concerning tufted rugs, and rugs made with artificial fibers or low quality vegetal fibers. "...In the mouth of two or three witnesses every word may be established." When the cheapness of a product becomes the overarching consideration for the producer, the purveyor or the consumer, bad things start to happen, because "good things are seldom cheap and cheap things are seldom good." The strategy shouldn't be holding out for "70% OFF" when the next SALE days role around. Instead, you should find out what quality or style of rug you like that will be best for the purposes for which you need it (including many years of enjoyment.) Then pursue finding the best overall value (in reality) that is being offered to you for that kind of rug. This goes for antique and one-of-a-kind rugs too. Though their uniqueness places them in class that brings intangibles to their pricing, you can probably find information on comparable examples, and establish a fair price range within which you will feel comfortable making a deal. Visit: "Top 3 Furniture Placement Blunders Exposed"
An article with helpful hints on how to make your living spaces user friendly. Always remember that a real oriental rug can be an indispensible problem solver when you are trying to pull everything together; trying to re-direct attention away from a problem area; or trying to make something of interest happen in an otherwise lackluster area. Work your way up to a fantastic room by beginning with the right rug choice on the floor. intimate focus that repurposes a voluminous room to human pursuits. Over time, with the principle implicit in this article, we've reassured many customers who feel uncertain about their ability to pick an appropriate rug for their furnishings and decor. If you can dress yourself successfully, you likely have all it takes to make the right decision about the rug that will be right for you and your room. 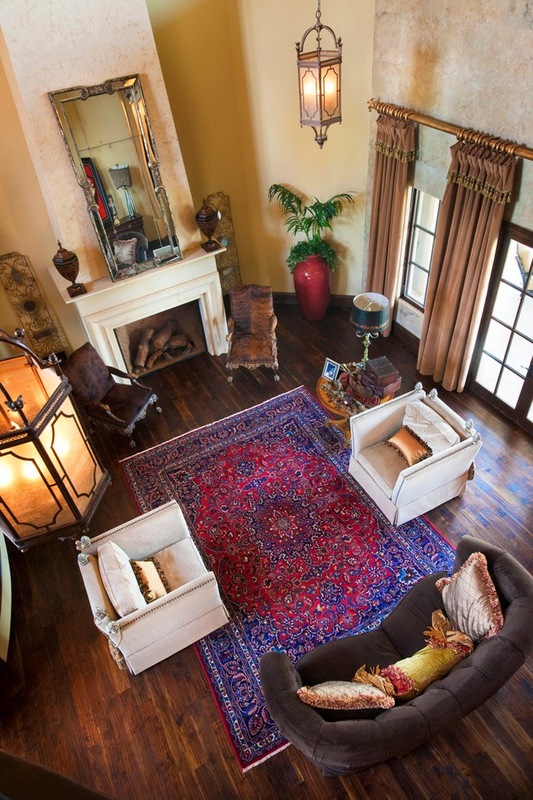 We are often asked by customers who are choosing oriental rugs for their homes, "What colors will go with this rug?". The APP shown above, COLOR911.com, is becoming a big hit with design professionals and DIY-ers alike because it helps to answer that question (and many related questions) with no-fail solutions. 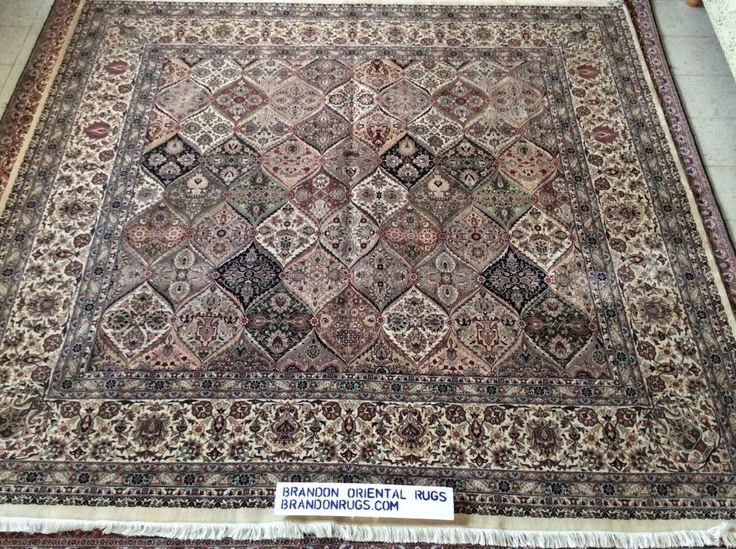 Of course, with expertise gained from many years in business (and principles learned from many excellent designers, artists, and craftsmen) we at Brandon Oriental Rugs are prepared to answer questions about color coordinating your rugs and everything else. Now, to help, the COLOR911.com APP provides reassurance and confirmation as a second opinion when you want to color your world. Enjoy. "...modern take on traditional Asian designs..."
REAL hand-knotted oriental rugs are perfect complements for all of the new looks in furniture and accessories that demonstrated popularity at the recent High Point market -- with the possible exception of the "dark theme". 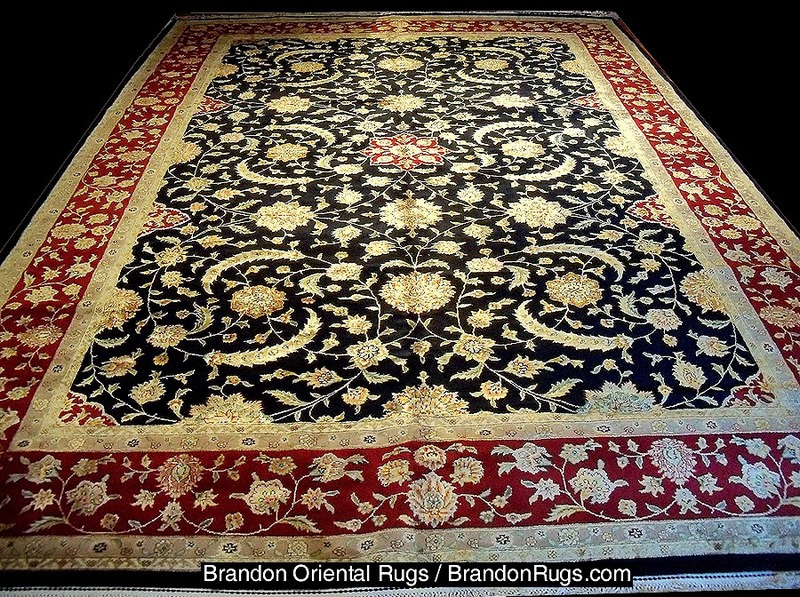 Of course, since any oriental rug is so versatile - able to fit into many different design plans - and since available rug designs are so extraordinarily diverse, handmade rugs are always in fashion as necessary AND desirable room furnishings. In a tiny Bulgarian factory, nimble fingers tie and cut, assembling knots of dyed wool into lavish floral patterns: In a few months, the carpet will be fit for royalty. Hand-knotted and flat-weave rugs made in Kostandovo, a small village in Bulgaria’s southern Rhodope mountains, have graced the floors of 10 Downing Street and Chequers, the British prime minister’s country retreat, as well as the Bank of England, royal palaces and Vienna’s Albertina museum. Other top clients have included Prince Charles and the Rolling Stones’ Mick Jagger, manager Nino Parpulov said. “No one can match us at the moment. We are the only ones who offer such large sizes, complicated patterns and multiple colors,” he told AFP on a recent visit to the factory. “Carpets of 60, 70, 80 square meters (600 to 800 square feet) are a piece of cake for us,” the 57-year-old ex-forestry engineer added. “We are probably the last hand makers in Europe,” said Parpulov’s British business partner, David Bamford. The 28 women working at the Hemus factory take several months to complete a single giant-size carpet — their largest creations have reached over 120 square meters (1,300 square feet). They usually make just about 10 such tapestries a year, at a sale price of approximately $200 per square meter. The factory also dyes the wool for the rugs, exactly matching the colors and design of the ceiling, wallpaper and furniture of their clients’ stately homes. Almost any shape and design is possible, and the weavers can also make exact replicas of ancient rugs. The women sit at the large wooden looms for hours, surrounded by boxes full of skeins of wool of every color. 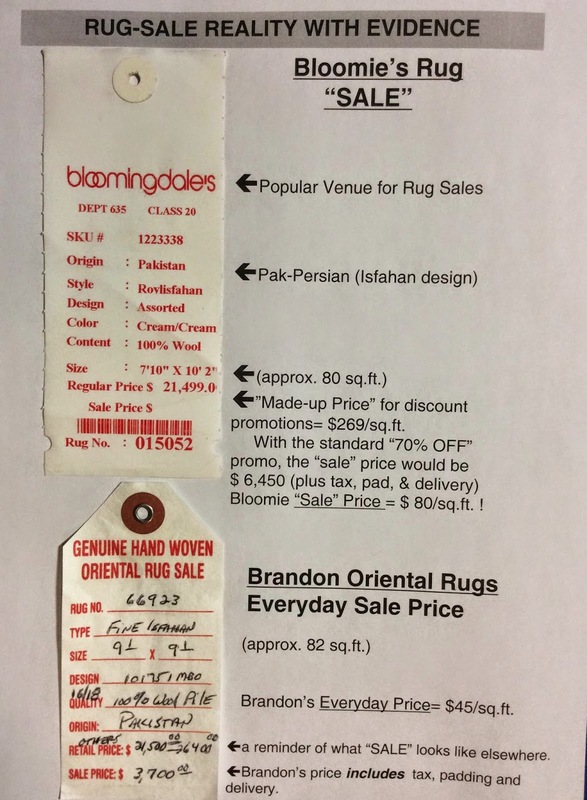 The major challenge on large rugs is to make sure the knotting is uniform throughout as “every hand knots differently,” Parpulov said. The largest loom at the factory is eight meters (26 feet) wide and the carpets are customarily made in one piece to prevent deformations. One carpet — an 18-meter-wide one for Britain’s Osborne House, the former residence of Queen Victoria — was made in three parts. “It is nice to know that what you’re making will go where you will never go and that royal feet will tread on it,” said Svetla Lambova, 39, taking a break from her carpet work. Lambova is one of 16 local women who swapped the greenhouses and potato and onion fields in one of Bulgaria’s poorest regions to undergo a training course at the factory last year. Ten of them stayed. “I thought it would be very hard to learn and I would not get used to the work... I am still much slower than the other weavers,” she said. “Half of the women in the course gave up,” said Svetla Mundova, 40, another of the newly employed weavers, while tying and combing the threads of a large beige and brown carpet. When Parpulov came to the former state-owned factory as manager in the 1990s, 1,100 women worked there. A lack of orders and the disappearance of communist-era state subsidies had put the factory on the brink of bankruptcy and led to a stark fall in employees, many of whom retired, he said. It took years of hard work, court battles and bank negotiations to get the company back on its feet. In the end he and Bamford were able to buy it. “But with three or four weavers going into pension every year, I realized last year that in five years’ time I will be left with five or six of the 18 workers I had,” Parpulov said. He made it his “top priority” to recruit and train more women, and succeeded with the help of a 74,000-leva (38,000 euro, $52,000) grant by the US-funded Trust for Social Achievement. He now dreams of substituting the wood-fired stoves in the smoky factory hall with central heating, and of finding clients in Bulgaria to give him the funds necessary to train more weavers. Now, a beige and moss-colored rug with carmine grapes adorns a reception room at Bulgaria’s famous Rila Monastery. “I can say now with a clear conscience that I have left something in my own country — a small pearl that fell from the pouch,” Parpulov said.